Nederlands Dans Theater 2 – dance with a difference! 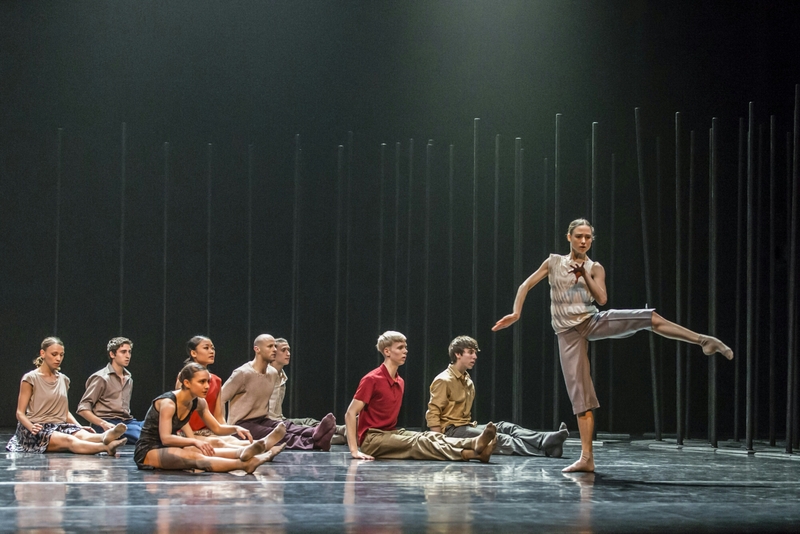 Nederlands Dans Theater, one of the world’s leading contemporary dance companies, returned to the UK this April for their Dance Consortium UK Tour. A mix of visual art, music, innovative lighting, sets and costume design makes these unique pieces quite the spectacle. The evening’s performance consisted of four very different pieces. We were lucky enough to be watching the show at the stunning Mayflower Theatre in Southampton. It offers an authentic feel and has great acoustics. Ideal for dance and performance! Set in a forest backdrop, this fresh piece saw 9 young performers intertwine with one another and offered a taste of freedom, teenage emotion and light humour. The piece explored the group as individuals and together, their relationships with others and the self discovery of their evolving bodies. Songs by Van Morrison complimented the piece, and I was left with a warm feeling in my belly. Mutual Comfort offered something quite different. It was tense, sharp and flicky, and certainly showcased the technical abilities of both the couples performing. The lighting was simple with a soundtrack by Milko Lazar to compliment. Clug explained this was a piece for ‘adults’. A high paced ballet performed by 3 boys with music by Johann Sebastian Bach. Their moves were smooth and technically impressive. Each boy performed one at a time. I could feel the intensity of the man portrayed in the piece, trying to find his place in the world. Cacti was my favourite piece of the evening. It challenged the audience’s perception of what art is. Each dancer became an instrument of the human orchestra. The lighting was well timed and made group sequences look fun, the white cubes made the dancers look bolder and the cactus added a charming quirk to the performance (often being presented in unusual positions). The stand out part of the whole performance was an intimate solo between a female and male dancer, with a dialogue over their dancing. It was charming, witty and sweet all at once. Before seeing this show I had never heard of Nederlands Dans Theater 2 but now that I have, I’d recommend checking a show out. They offer a unique blend of fresh dance, humour, emotion and some serious dance talent.